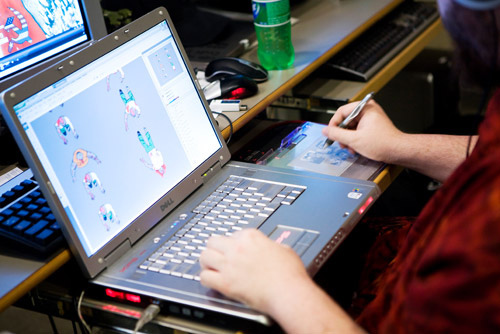 Game development is tough compared to other programming tasks, mainly because it also involves game design along with the creation of graphics and high-resolution assets. Besides, you also need to keep in mind the performance of the game while developing these programs. Too high resolution, and frame rate will drop, thus making gameplay frustrating for the end users. But if the resolution is too low, the users won’t be able to enjoy the game fully and it will look dated. It’s important to find a middle ground, and you must always keep in mind the target platform (Android, iOS, PC, etc) along with the genre to which your game belongs to. An important question for all aspiring game developers is which programming language is the best for video game development? The answer is it depends on your goals and what platform you want to develop for. There is no doubt that C++ is one of the fastest programming languages currently in use. It is almost as fast as C but comes with loads of extra features such as object-oriented programming along with template programming and the extremely useful STL library. The main advantage of C++ is that it compiles to assembly language, which is then converted to machine language by an assembler. Hence, there is no middle man (e.g. 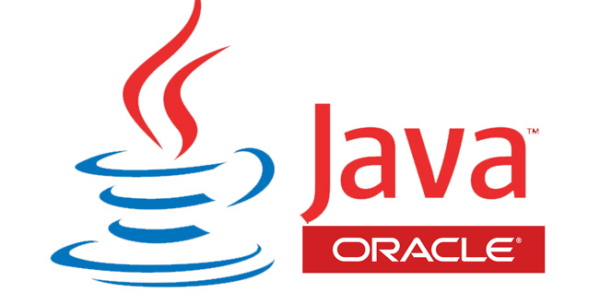 there is JVM in the case of Java), which makes program execution faster. It also provides a finer grain of control over the actual hardware, which is not possible in case of Java or other garbage collected languages. This means the programmer decides when new dynamic variables will be created and when they will be destroyed. While C++ has several advantages, it comes with its fair share of cons as well. While C++ allows the programmers to create dynamic variables with the “new” keyword and delete them when convenient using the “delete” keyword, it creates other problems for developers too. The programmers need to make sure that every dynamically allocated variable is properly removed, otherwise over a period, these will consume unnecessary memory, making the performance of the game sluggish. Also, developing the same program in C++ will take more time than Java, since the programmer needs to write more code for the same task. The best way to enter game development in C++ is via game development frameworks. Most game development frameworks are usually built in C++. The top frameworks include Unreal Engine and SFML. Java is one of the most popular languages in the industry currently, and the same applies to game development. Java has been around for quite some time, and since it is so widely used, you will find tons of materials and tutorials on Java which makes it the perfect language for a newcomer. Also, Java has tons of frameworks which make many programming subtasks incredibly simple. What’s also huge is that Android app development is done with Java. This gives you access to the most popular platform in the world including millions of smartphones and tablets all from one language. Java is a garbage collected language, which means the programmer doesn’t need to delete dynamically allocated variables, it is done automatically when that variable is no longer used. Java doesn’t compile directly to assembly like C++; instead, it compiles to java byte code. Java Virtual Machine(JVM) is responsible for running this byte code. Due to the middle man involved, performance takes a slight hit. The main disadvantage of Java in game development is its garbage collection. The garbage collector doesn’t run at specific intervals; hence one can’t predict when it will occur. And whenever garbage collection, it causes a delay of a few milliseconds. Normally, it isn’t noticeable, but in games, this delay is significant. It can cause frame drops, which you don’t want as a game developer. Hence, Java is usually used for building 2D games or simple 3D games. It is mainly used in Android game development since Java is the native language for Android development. C# is a comparatively new language compared to Java and C++, but it has started gaining a lot of traction recently. It is a garbage collected language as well, like Java. However, the C# compiler, in theory, can generate machine code just like C++ compilers. C# is more type safe than C++ and combines the pros of both Java and C++ in a single language, which is the main reason behind its growing popularity. However, it also suffers the same problem as any other garbage collected language – delay during garbage collection. Hence, large console games (e.g. GTA) aren’t built in C#, but it can get the job done for simple games with low system requirements. Unity is a full-fledged game development framework; whose primary language is C#. Unity is considered to be one of the easiest frameworks, so if you are new to game development, it is recommended to give Unity a try. The personal edition is free, and it comes with all the essential features, so you don’t have to pay a dime initially. Swift is a new programming language developed by Apple, mainly for developing apps and games for iOS. Like C++ and C#, it is a compiled programming language. It is quite similar to Objective C. This decision was made deliberately since Apple’s primary language earlier was Objective-C, so Swift’s core features were made similar to help programmers transition quickly. Swift is more concerned with safety; hence it automatically takes care of null pointers, which are common in C++ and are extremely hard to debug. Swift is a garbage collected language as well. However, it uses a different method known as automatic reference counting to get the job done. ARC comes with its own sets of pros and cons. Unlike standard garbage collection, it won’t cause sudden delays, but it will slow down the entire application significantly. Also, it is a newer language (stable version released in 2016), so tutorials are fewer. Two famous game development frameworks for Swift include Swiftris and SpriteKit. Games developed in Swift will only work in iOS and aren’t portable, so you need to keep that in mind. If you’re getting started on a journey of leaning video game programming, you should consider starting a programming blog it track your status along the way.